The story: The world is afraid. People born with extraordinary abilities are popping up around the globe at an alarming rate, and Senator Robert Kelly wants to protect the U.S. by passing the Mutant Registration Act. Holocaust survivor Erik “Magneto” Lehnsherr has firsthand experience seeing what happens when a group of people are targeted by their government and forced to give up their civil liberties, and he won’t allow mutants to suffer the same fate as the Jews. Magneto partners with other mutants to end Kelly’s mission by abducting him and using a machine to artificially mutate the senator (a process that proves to be deadly), and Magneto plots to use the device on an assembly of world leaders on Ellis Island in one of the early examples of a superhero movie third act involving a giant blue pool of energy. Erik’s old friend Charles “Professor X” Xavier stands in the villain’s way with his own team of mutant heroes: The X-Men. Joined by hunky, hairy, mysterious new recruit Wolverine, the X-Men stop Magneto and save the kidnapped young mutant Rogue, and the film ends with Erik and Charles playing chess in Erik’s plastic prison, promising each other that their conflict won’t be ending any time soon. 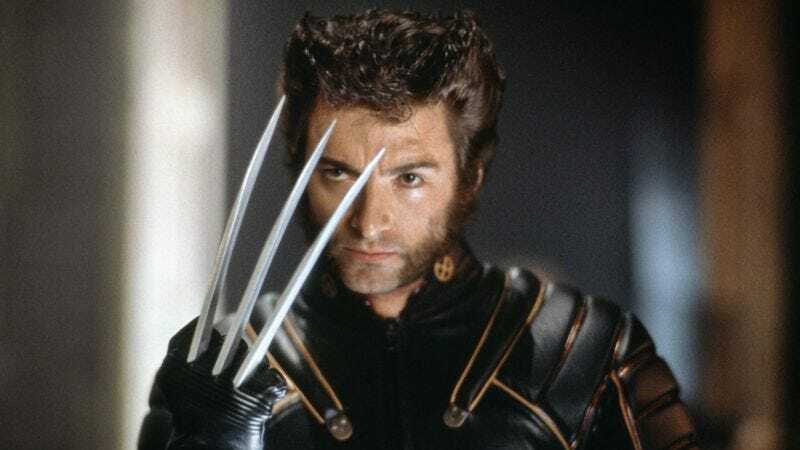 Noteworthy events: After the fight on Ellis Island, Charles Xavier offers Wolverine a big clue in recovering his missing memory, directing him to an abandoned military base in Canada that plays a major part in X2. The budding romance between Rogue and Bobby “Iceman” Drake also develops into a major subplot over the course of the first X-movie trilogy, and their innocent flirtation in X-Men will build to something more over the next two films.